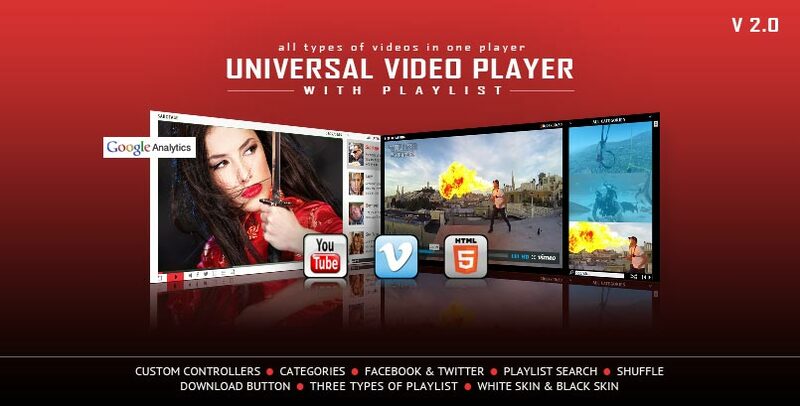 Universal HTML5 Video Player supports YouTube, Vimeo and Self-Hosted videos and is a top-notch responsive HTML5 plugin compatible with all major browsers and mobile devices. For Universal HTML5 Video Player you can show the playlist thumb, title & description or hide one of them. Also there are parameters for playlist size and color.